To follow-up on my last LFR SoO post, I thought I'd add my strategy for Gates of Retribution. Tower group: Before the fight starts, I set up my gateway to that it goes from the staging area up the hillside of the first tower. Stay at staging area for (about) first 3 waves, until first mini-boss comes. By now, the first tower (left side) should be opened. Watch for the announcement. Drop your warlock portal at the base of the tower. Run to top of the tower and join your tank at blowing away the team on top. Watch the edge as there's one npc who does a blow-back and tries to knock you off the tower. Drop to your portal and run back to main fight. Usually about time for next mini-boss. Repeat when next tower is opened. Non-Tower Group: If you stay behind, setup your gateway up the hillsides to one of the towers so that the tower team can use them. Otherwise, this is just a tank-and-spank fight. Let tank bring waves down to 'burn' area. Iron Juggernaut - This boss is a giant metal scorpid. As a giant robot, it has robot abilities, drops bombs, spills oil, shoots fire, can send out a shockwave, and drills into the ground to cause ground ripples. Set out lock portal near boss to avoid running all the way back from shockwave ability (or stand in front of a fence). If at full health, hop on bombs that appear (vehicle mechanic) and absorb damage. My priest died, but lock was able to take damage and live. Can't remember if I could drain life in the air. Kor'Kron Dark Shaman - I hate this fight. First, you need to clear all the center of town (someone has a key to unlock Gamon). The tank will pull named elites from several of the buildings in town, who in turn grab a bunch of other mobs, and it's a big AOE fest. At least 25% of time, it's a raid wipe on the trash. 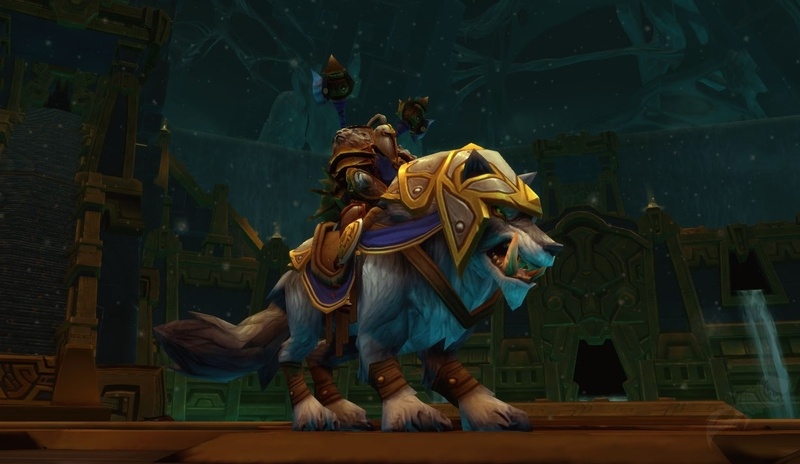 Inside the Garrosh's throne room is a shaman and a mounted guardian. Between the two of them there's a lot of aoe damage. There are oozes that chase people down. There's tornados that throw you in the air and cause damage. There are poison clouds that you need to run from. Finally, there's directed fire damage shot out. Now run through town to the Drag and free Gamon. After Gamon, every LFR usually jumps down off the ledge directly to the entrance to Ragefire Chasm (now renovated for Garrosh). General Nazgrim - This fight requires some LFR patience. Nazgrim has 3 stances, battle, defensive and berzerker. Attack him while he's in battle stance. Don't touch him in defensive stance. If you do damage him while defensive, he'll go into berzerk. If he goes into berzerk, you wipe. You can tell Nazgrim is in defensive stance 2 ways. Does his NPC have a shield equipped? This is not always obvious as the tanks have him faced away from the raid. Under his portrait, he has a buff depending on his stance. If you hover over the tiny little icon, it says how much longer he's planning to be in this phase. Otherwise, kill the adds (shaman first as he heals Nazgrim). You can use CC abilities on the adds (my favorite is the stun from shadowfury against the assassains).